App Builder Appy Pie, December 19: The year 2017 was a big year for app development and it looks like the party is going to continue in the year 2018 as well! The New Year resolution for a small business owner this year should not only be about learning new things but also learning about what the competitors are doing. Most of the companies are now realizing rapidly that developing a mobile app is no longer a matter of choice, it has gained the status of a necessity for the businesses to make any kind of impact on the customers and progress in the competitive business environment. Mobile has gained the status of the best medium to meet the demands of the customers and increasing sales. The Apple App Store & Android market are celebrating their 10 year anniversary and are a testament to how far the industry has come. The influx of the innovation in the technological arena has been motivating in the year 2017 and now in the year 2018, this intent to innovate takes a higher flight. In this environment, it is imperative that you stay abreast with the upcoming trends in order to be able to compete in the industry with a fair chance to succeed. The concept of Android Instant Apps was introduced by Google in its I/O developers conference 2016 and in this year’s I/O developer event the apps were made available to the developers. This is a crucial change as this would allow users to try the app out without having to install the app in the traditional way. The app with this feature can be accessed with just one tap and it is removed from the phone, the moment the user closes it and there is no need to uninstall it separately. The feature has changed the way the users would be interacting with the apps and the app-store, however, currently there only a few apps that are compatible with this technology and would only be available to a limited market. Once this feature goes live globally this would make the native apps function like websites and would prove to be lucrative for more and more consumers due to the sheer convenience it offers. The technology might prove to be a big revolutionary transformation as the apps would not need to be installed anymore thus doing away with all kinds of barriers between an app and the website. The Android Instant Apps would run on all the Android versions and are quite easy to share. In the past few years, especially in 2017, the customers have been engaging in online shopping quite extensively and the trend of mobile shopping has been on quite a steep rise. Until recently the customers were using net banking and debit or credit cards to pay for their online purchases. As Apple Pay and Google Wallet was introduced recently, there is a gradual but definite shift of customers to m-commerce. This method of payment is quite convenient for the customers and is quite a unique and novel way for companies to harvest data and provide in-depth analysis about the customers and their buying behavior. Recent research suggests that in the year 2017, around 1.7 billion mobile wallets were in use globally. This trend is going to stay strong in the year 2018 and the number is expected to go up by 83%. This would also give birth to the need for stronger, more stringent security for the transactions that the users would be making through their mobile wallets. In 2018, there would be a rise in demand for mobile wallets in the form of apps that would make it possible for the users to carry out their financial transactions with apt encryption to help them with their online shopping and booking. It is critical now to understand the difference between the two. 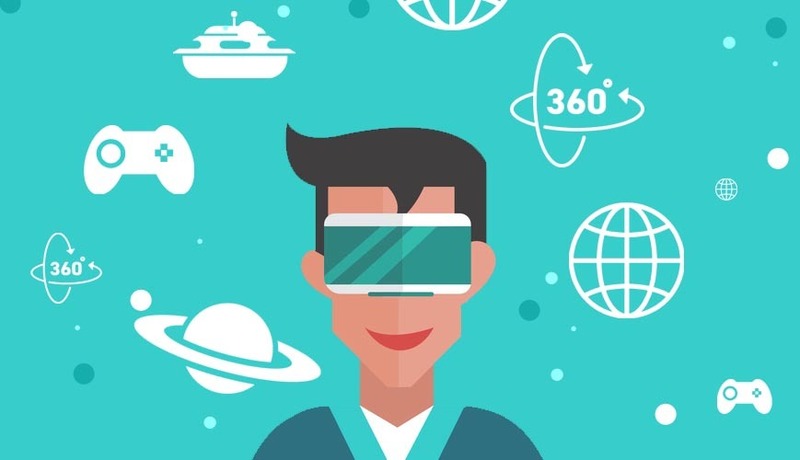 Augmented Reality is a kind of live direct or indirect view of the real world environment where some of the elements have been augmented with the help of computer generated or extracted real world sensory inputs including but not limited to sound, video, graphics, or GPS data. Virtual Reality is a computer technology which, through the use of virtual headsets and a combined use of physical spaces, or multi projected environments, creates a set of lifelike visuals, sounds or other sensations that create a simulation of a user’s physical presence in a virtual or fictional environment. Though these technologies have found more use in the gaming industry but they are together emerging rapidly as more than mere gimmicks. The total market associated with AR & VR is estimated to reach $108 billion by the year 2021. Pokemon Go and more viral gaming apps made the technology visible and almost a household name in 2017. However, as the technology matures AR &VR are all set to offer their services to quite a diverse set of industries. Augmented Reality has found its application in quite a few sectors including but certainly not limited to healthcare, retail, real estate, and more even as Virtual Reality is strengthening its influence on the world of gaming and in events. While bitcoin has been making waves for quite a while, the less popular cousin Blockchain is now making its way to the frontlines finally. In the recent times Blockchain has probably garnered more attention than any other technology in the recent times. Blockchain is a shared, unalterable ledger where a company may record its information which is then listed as a block. This block may be a history of transactions or bitcoins, but can only be altered by changing all the subsequent blocks and the entire network’s collusion. This helps all the legitimate businesses establish stronger value for themselves by putting on offer a transparent access to the blockchain. This year blockchain was only the second top search term and exhibited a four-fold increase in mere 12 months. With a potential to save all forms of data from the hackers, blockchain would first and foremost find its popularity in the financial sector only to be followed rapidly by industries like healthcare, entertainment, and even hospitality. There is a definite generation of interest in the idea of a smart home, smart cities, industrial IoT, smart retail and many such more fields. This interest is predicted to follow a strong growth curve in the coming years as the IoT apps will steadily become mainstream in 2018. It is a gradual growth, but the trend is definitely here to stay as exhibited by the robust growth of the Apple watch apps. Android Things from Google is a step in the direction of increasing the adoption of IoT. The trend of IoT and the increasing popularity of the wearable devices will increase the demands of apps that would support them. IoT is expected to reach $661.74 billion buy the year 2021 exhibiting a CAGR of 33.3% from $157.05 billion last year. As the IoT devices would be connected and controlled with smartphones, there would be a strong impact on the trend of mobile apps too! This is an age of data that we are living in. The value attached to a cloud app is increasing by leaps and bounds with apps like Dropbox, Google Drive, and a number of other such apps gaining more prominence than ever. This has led to the developers to develop more and more cloud driven apps. It is with the increasing use of cloud technology that the pace and convenience of getting data is increasing without putting any additional strain on the phone’s internal memory. 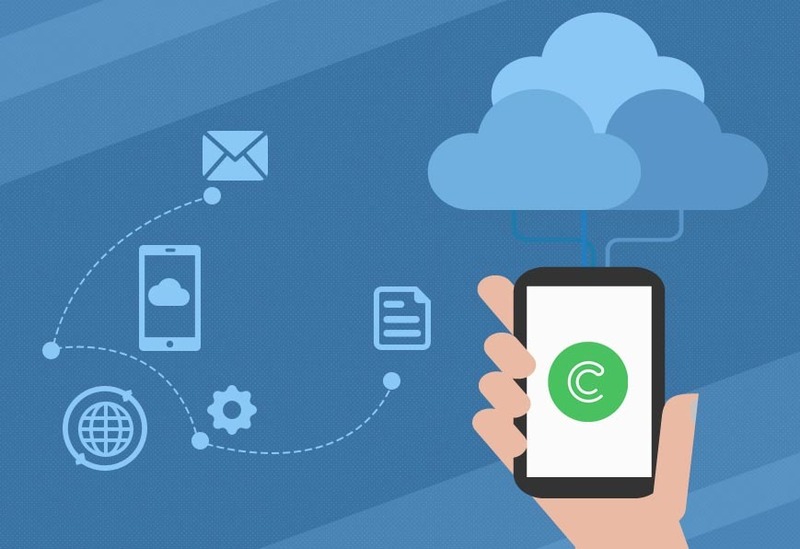 Cloud apps also have an added advantage of providing a consistent experience across multiple devices as the data is stored securely on the cloud. By 2019, cloud apps would be driving 93% of the total mobile data traffic on a global scale and the mobile cloud traffic would increase eleven fold exhibiting a CAGR of 61%. 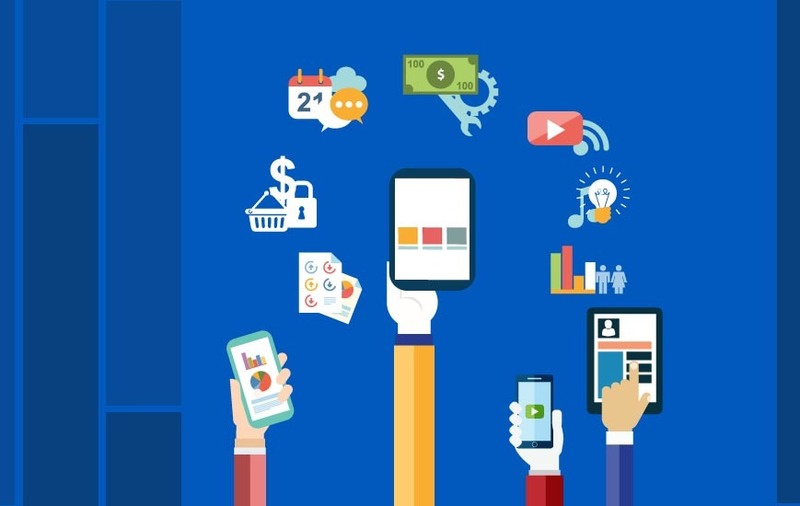 The emerging concept of enterprise mobility will gain traction as increasing number of companies begin to discover the advantage of adapting to the idea of mobility & cloud. 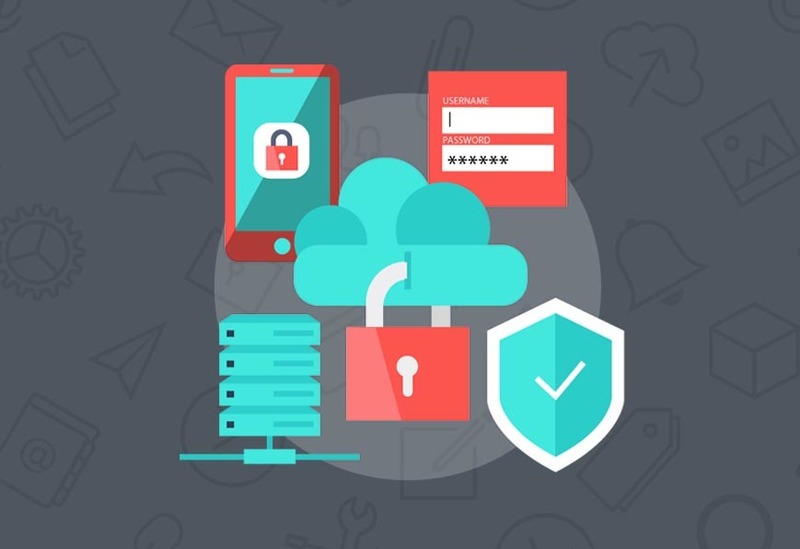 Using cloud for data storage can alleviate the data security issues for the companies as it would be protected and the issue of insecurity & vulnerability on the employee devices would be totally assuaged. Accelerate Mobile Pages or AMP is one of the most crucial emerging trends for mobile app developers in the year 2018. Since the launch of AMP project by Google there is a considerable acceleration in the speed of loading of mobile pages. However, this is not just about the quick loading of web pages on your mobile, it will further provide an isolated search index for the mobile web world. This step will alter the entire approach of mobile app developments especially from the point of view of SEO. AMP would bring with it a number of advantages like increased number of visitors, a higher CTR, an increased AD visibility, lesser efforts of migration, a higher page ranking, ease in the placement of content, ease in conducting analysis of visitors, mobile search index & carousel, and doing away with the need for a sitemap. The coming year would see the rise of on-demand apps as their popularity increases rapidly. These apps are designed with the intent of public usage like taxi or travel booking apps, cleaning services, food delivery, laundry apps, beauty services, and many more. The market for such apps has gone a lot stiffer as more and more developers are turning to this idea. The basic reasons for the popularity of these apps are convenience, ease of payment, choice of modes of payments, timely services, and access & availability of closely located services. A mobile phone is a treasure trove of data and most of it is extremely personal in nature increasing the vulnerability of the user. Till now there has been little done on this front and about securing the phone and the data within. It is for this reason and for fear of security that majority of the mobile phone users do not download apps. This fear and lack of security measures can prove to be quite troublesome for the app developers as well. In this space, apps with built-in and enhanced security measures can go a long way in assuring the customers of the safety they would experience within the app. In 2018 more developers would be focusing on providing an enhanced user experience with stronger security features. One of the more evolved trends in the coming year would be apps that focus on security features and put the customers’ minds at ease. Lazy loading technology has found its place in the mobile app development trends for the upcoming year. It is common for a user to encounter pages that are heavy on images and hence take long to load. It is equally common for them to lose interest and move on from the page increasing the bounce rate and lowering the conversion rates. As a measure to prevent this from happening too often, the developers began to implement lazy loading where the images load only when it is their turn to be displayed on the image, thus reducing the load on the page. Enterprise apps have been gaining phenomenal popularity since their inception in the business world. The growth curve is getting steeper as a higher number of firms and organizations are embracing the idea. A larger number still is going for the “Bring Your Own Device” model which would further increase the demands for hybrid enterprise apps. 74% of the organizations have begun investing in the BYOD model for employees in one way or another. By 2019, at least 53% of the companies would incorporate at least 10 enterprise apps. The reason behind this trend gaining popularity lies in the freedom that it brings to the employees by giving them the option to access data and work even from remote locations. The hybrid enterprise apps essentially run in the app format but are actually mobile websites which not only bring the costs down but also speed up the mobile app development process.